Cerra SG is an integral component of the corporate health and wellness program marketed by Rewardz to corporates with an objective to help their employees stay fit and healthy. The investment by employers into such a program pays them off in terms of improved workforce efficiency, decreased attrition and increased employee satisfaction. Health and fitness is at the core of any corporate wellness program, but it’s quite challenging to keep employees engaged in the health and fitness regime on the long run. 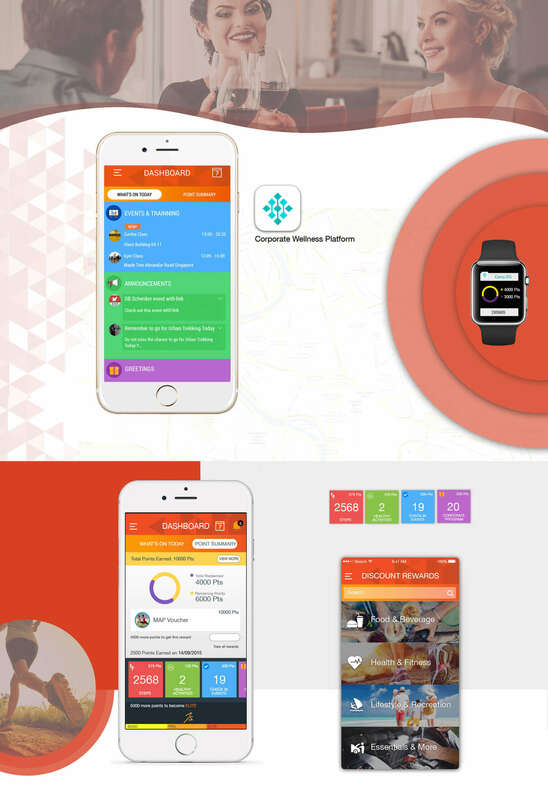 Accepting the challenge, Rewardz took refuge of health and fitness app development. In fact, this was a prudent decision citing the growing penchant of consumers towards their mobile apps, and interests with real-time data or metrics. Corporate wellness is also about employee engagement, and the app does it best by allowing employees and their groups to achieve their goals individually as well as collectively. They can stay acquainted not with what they achieve but also with what their peers and counterprat teams have gained. So in a way it instills the value of winning together but with a healthy competition. Our remarkable expertise in building mHealth solutions leveraging the health and fitness SDKs or resources like Google Fit and Apple HealthKit, utilizing third-party health and fitness services or products like Runkeeper, Fitbit, Jawbone and Strava, and in-depth understanding of FDA and HIPAA health regulations made us evolve as the top choice for Rewardz. The healthy client-relationship that we had nurtured over the time with our timeliness and quality Android and iOS app developement services also made us a superior contender. The fitness app strives to solve key challenges for Rewardz as well as its clients that adopt its corporate wellness program. And when stakeholders are getting benefited, the corporate wellness provider, i.e., then nothing can stop Rewardz from gaining an upward thrust in terms of new business acquisition, client satisfaction and ROI. Today Rewardz has clients as big as Walt Disney, LendLease, Jtc, Fuji Xerox, NUHS and Samsung to name a few. The app has been coded using native Android and iOS resources only. Accordingly, Android app makes use of Java programming language and iOS, Swift. The health and fitness capabilities have been inherited with Google Fit and Apple Fit respectively. To make the app compatible with Runkeeper, Fitbit and other third-party products/services, we have used the genuine APIs as recommended by respective vendors. Being a leading technology partner, we keep a watch on the performance of app and come up with updates and ugprades to keep it relevant with time and user's expectation.